We are writing to highlight recent work carried out to improve the provision of anti-tuberculosis oral liquid medicines in the UK. Almost two-thirds of hospital pharmacy departments in the UK have reported problems accessing anti-tuberculosis treatments. The fragility of the supply chain is a significant problem because interruptions in treatment will contribute to the known risk of resistance, including multidrug-resistant tuberculosis (MDR-TB), and the more recent emergence of extensively drug-resistant tuberculosis (XDR-TB). Of the four main anti-tuberculosis agents — ethambutol, isoniazid, pyrazinamide, and rifampicin — only rifampicin is currently available as a licensed oral liquid, meaning that children (and potentially some adults) face elevated risks associated with a lack of high-quality, standardised products. For example, a survey of UK hospitals found at least eight different concentrations of ethambutol in use. Ethambutol is an optical isomer with known toxicity issues and is associated with significant adverse drug reactions; for example, visual acuity problems, colour blindness and peripheral neuropathy. This level of unwarranted variation for a medicine with known risk issues could expose patients to unnecessary and significant levels of risk. 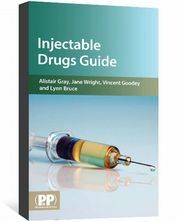 As well as the inherent quality, uniformity of dosage and bioequivalence issues associated with the use of non-standardised and potentially unvalidated formulations, parents and carers can become confused. Transfer of care can be a particular time of risk because patients continue to receive the same volume of liquid despite a change in concentration. The risk is compounded by the paucity of patient information available. In 2011, in recognition of these risks and other risks with the anti-tuberculosis medicines supply chain, a project group was formed to review the problems and make recommendations to improve patient safety. Thirty-two medical, nursing, pharmacy, government and commercial stakeholder groups were consulted (including the British Thoracic Society, the UK Clinical Pharmacy Association and the Royal College of Nursing). ‘Specials’ manufacturers in the UK should provide batch-manufactured liquid medicines and these must be produced under a ‘specials’ licence from the Medicines and Healthcare products Regulatory Agency, rather than as extemporaneous preparations under Section 10 Exemption of the Medicines Act 1968. This would provide additional assurance of product quality. Note that for isoniazid, larger adolescent patients may be exposed to volumes larger than first recommended by the project group; however, a compromise of 50mg/5ml was agreed — the majority of patients were found to be using this concentration in 2017. Furthermore, it was suggested that most adolescent patients would be able to transition to solid dosage forms and avoid exposure to a large-volume dose. Since the recommendations were agreed, there has been a great deal of joint working between key pharmacy stakeholders, notably the NHS Pharmaceutical Production Committee, Specialist Pharmacy Service representatives, the Neonatal and Paediatric Pharmacists Group and the Paediatric Chief Pharmacists Group. The agreement of the standardised concentrations has allowed detailed product specifications to be drawn up for the three main unlicensed anti-tuberculosis oral liquid medicines. This was completed by the Unlicensed Medicines Working Group of the NHS Pharmaceutical Quality Assurance Committee. From February 2018, each of the three standardised anti-tuberculosis products are now available as batch-manufactured ‘specials’ from NHS and/or non-NHS manufacturers. 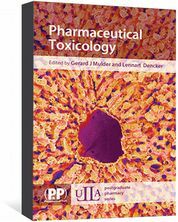 Progress is being made, and detailed work on a new assay for ethambutol has recently been submitted for inclusion in a future edition of the British Pharmacopoeia. 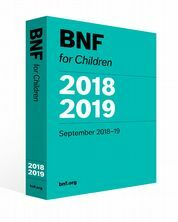 The standardised concentrations will also be included in the upcoming edition of the British National Formulary for Children, following successful liaison with the Neonatal and Paediatric Pharmacists Group and the Royal College of Paediatrics and Child Health. The project work and its approach has also been endorsed by the Paediatric Chief Pharmacists Group and by the Northern Regional Medicines Optimisation Committee. Significant progress has been made to move towards standardised concentrations for the three main oral liquid unlicensed medicines for the treatment of tuberculosis. The adoption of high quality batch-manufactured medicines with a standardised concentration will improve quality assurance and decrease the risk of error. This model for product development, based on a clinical consensus and the mutual agreement of detailed product specifications, could be adapted for use across the NHS to drive an improvement in medicines quality and reduce risk to many vulnerable patient groups. The addition of standardised concentrations should be considered by those with influence on electronic prescribing systems. Manufacturers who are currently producing other concentrations should review their output and rationalise appropriately to help manage risks in the system. Further work is needed to standardise formulation, as well as concentration, across the UK. Capstick TG, Laycock D and Lipman MC. Treatment interruptions and inconsistent supply of anti-tuberculosis drugs in the United Kingdom. Int J Tuberc Lung Dis 2011;15(6):754–76. Rawlence E, Lowey A, Tomlin S et al. Is the provision of paediatric oral liquid unlicensed medicines safe? Arch Dis Child Educ Pract Ed 2018;0:1–4.